How do you feel about the United Nations? Martin Edwards, associate professor and director of the Center for United Nations and Global Governance Studies at Seton Hall University, explains his results after asking registered voters this question. Professor Martin S. Edwards, Director of the Center for United Nations and Global Governance Studies, joined the school in 2006. His expertise includes International Organizations and International Political Economy. 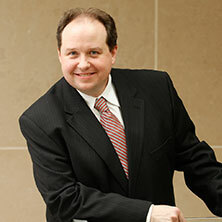 Prior to joining Seton Hall, Dr. Edwards taught at Texas Tech University and at the University of Michigan. His research, which has been supported by the National Science Foundation, focuses on the surveillance role of the international economic organizations. Edwards is a member of the New Rules for Global Finance Coalition. A frequent commentator on global events for regional and international media, Edwards has received numerous awards for his work as an advisor and a teacher. He is a recipient of the Salgo-Noren Teaching Award, and he has been a university nominee for the Carnegie Foundation / CASE U.S. Professor of the Year. He has blogged for Project Syndicate on international economic affairs. The United Nations is marking its 70th anniversary this year with an ambitious agenda, including new development goals for all countries and an upcoming climate change summit. What do Americans think about the United Nations? Working with a team of students, I evaluated findings from a survey of registered voters that was conducted last year by the Better World Campaign. Overall, 58% of those surveyed gave the UN favorable ratings. This favorability rating was higher than the President’s, and more than twice as high as that of Congress. We analyzed the reasons that were given by respondents to explain why they gave the UN the favorability rating that they did. We learned that support for the UN is diffuse, and objections to the UN are specific. Respondents that had favorable views of the UN focused on its ability to solve global problems or as serve as a forum for diplomats to talk. So they answered why the UN is a good thing in general, without much detail. Respondents with unfavorable views of the UN, on the other hand, tended to make a more specific argument: working with the UN was harmful to US interests. They described the UN’s membership as hostile toward the US, and that the US was not getting enough return from its financial support of the UN. So while supporters did not talk about specific benefits for the US from engagement with the UN, the opponents were much more concrete. The implications of this finding are clear. To be a better advocate for the UN’s agenda, it is essential to explain how working with the UN advances US interests rather than harms them. The stakes for US engagement are high indeed. Building a stronger UN starts at home.